mSIGNIA offers the market’s best-in-class frictionless mobile authentication and device recognition solution, helping businesses limit risk, reduce fraud and enhance the customer experience within their fastest-growing digital channels. By combining dynamic contextual authentication and intelligent behavior data analytics, mSIGNIA provides a secure user experience for browser access and mobile apps that protect businesses and end users from account takeover, payment fraud and fraudulent account registrations resulting from malware and data breaches. 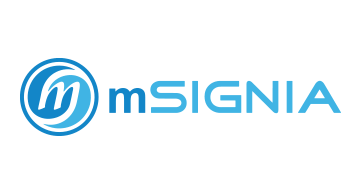 mSIGNIA’s patented and privacy-compliant security platform provides defense for mobile app developers across a variety of industries, including financial services, e-Commerce, payments, government and healthcare.